Mary Louise Sullivan owns and operates Crowing Hens Bindery, a one-woman bindery and letterpress print shop in her hometown of Nashville, Tennessee. She runs her bindery as a modern-day stationer where she combines her love of production bookbinding and printmaking, designing and producing small-batch boutique blank books, letterpress stationery, limited edition fine art prints, decorative papers, and more. She worked for five years as a letterpress designer and printer at the legendary Hatch Show Print, a historic letterpress poster shop in Nashville. She then received her MFA in Book Arts at the University of Iowa Center for the Book in Iowa City. 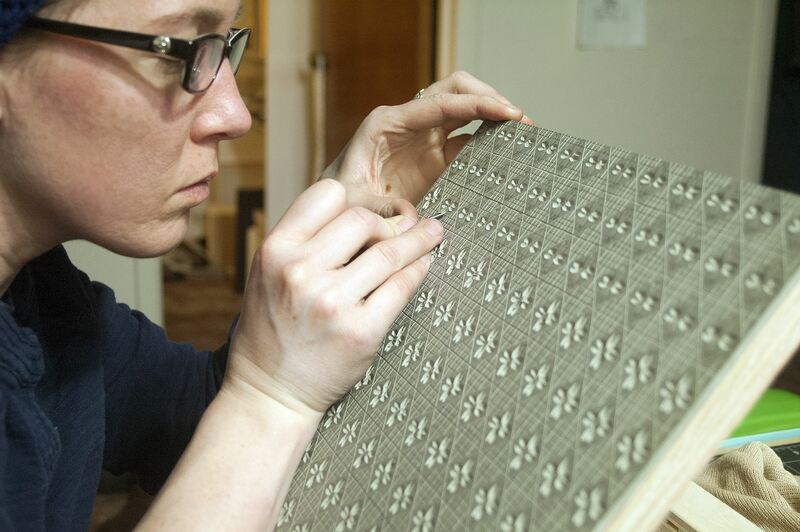 There she focused on blank book and decorative paper production, lectured on a UICB Islamic hand papermaking panel at the 2012 Friends of Dard Hunter/IAPMA conference in Cleveland, and served as Timothy Barrett’s research assistant in 2013–2014, participating in several historical production hand papermaking experiments at the Oakdale Research & Production Paper Facility. Mary has taught letterpress printing, linocutting, bookbinding, and decorative paper workshops at Hamilton Wood Type & Printing Museum, Maryville College, Sawtooth Printshop, the Alabama Center for the Book, and Vanderbilt University. She sells her work online, at regional trade shows, and at galleries, independent bookstores, and stationery stores across the United States. See more of Mary’s work at www.crowinghensbindery.com and www.crowinghensbindery.etsy.com. 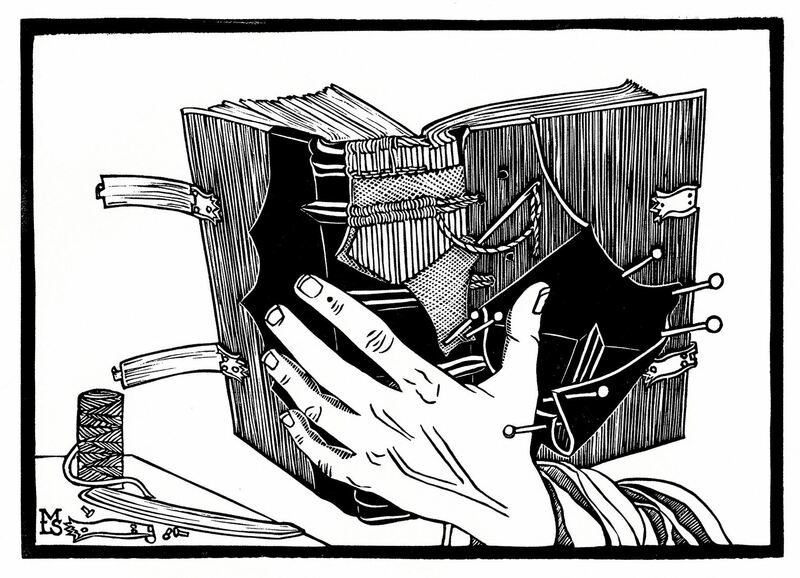 “Every blank book contains the potential to be a living, breathing organism that evolves each time it rests beneath a scratching pen—an artifact that captures the soul of an individual by documenting the intimate choreography between the mind, the pen, and the page. 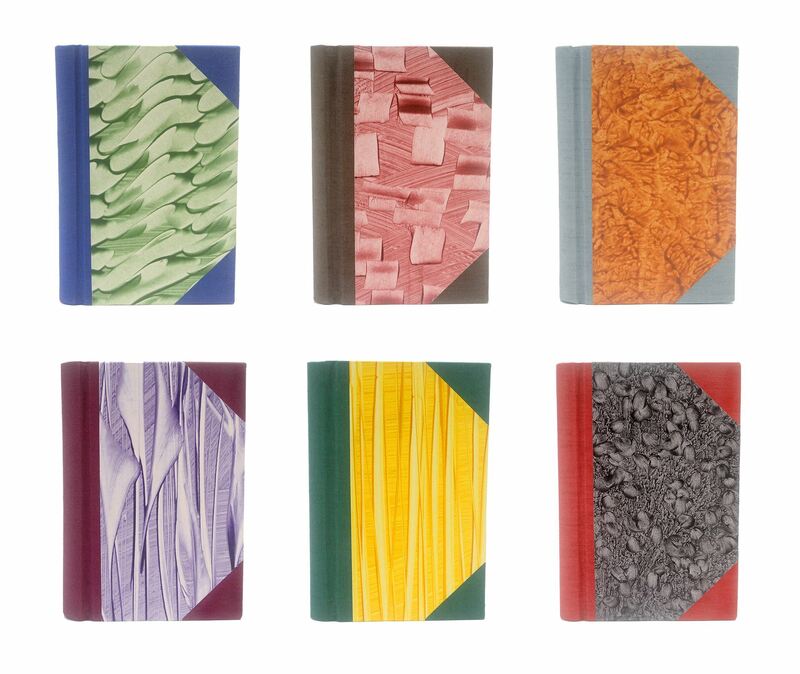 My fascination with stationery binding stems from the symbiotic relationship between the needs of the writer and the design and function of a blank book. 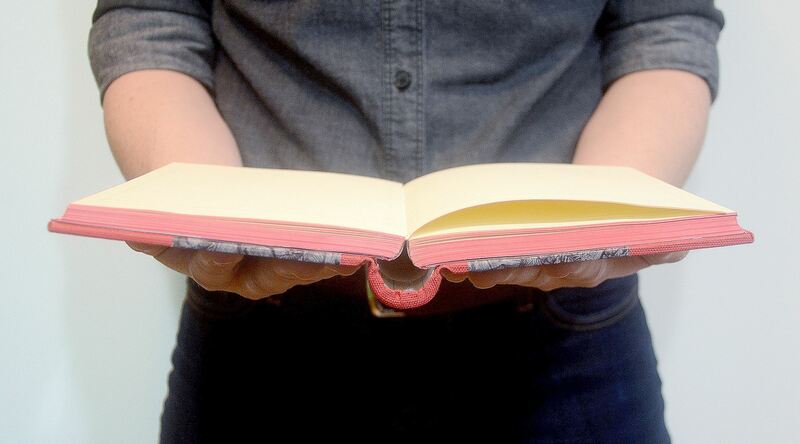 Understanding how a book will ultimately be used can help to inform the structural and design elements of a binding. A blank book that is tailored to the specific needs of a writer can, in turn, enhance the writing experience and spur creativity and expression. A demonstration of the action and writing surface of The Scribe deluxe springback journal. From the 2015 variable edition of 50 blank and ledger-ruled springback journals showcasing Mary’s editioned pastepapers. Each Scribe measures 8.25” x 5.75” x 1.125” and contains 120 sheets (240 pages). of Iowa Center for the Book. 12” x 24” linocut blocks. 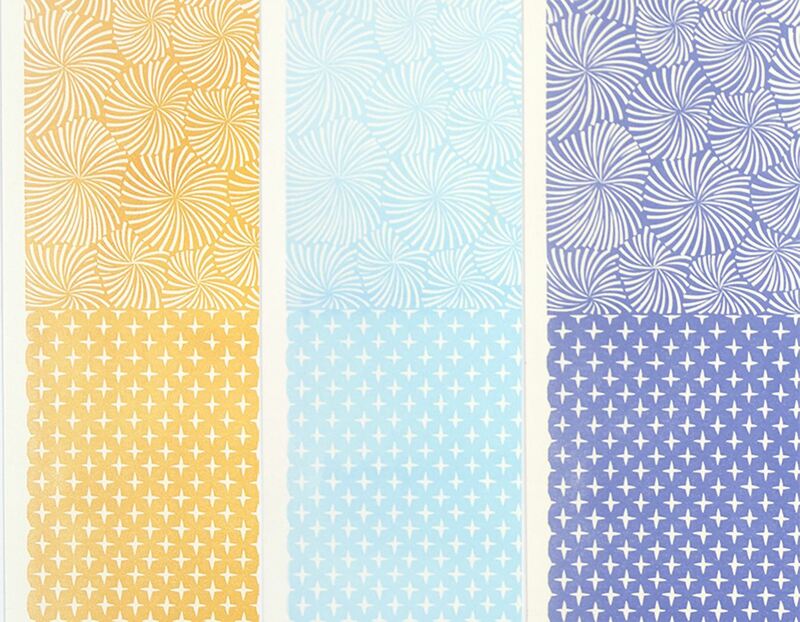 Detail photograph of the decorative paper Air & Sky printed in Tangerine, Cerulean and Midnight Periwinkle. printed decorative paper Geometric Floral/Dogwood.